Breakfast meeting Has the rule of law collapsed in Poland? Since the elections of 2015, the Law and Justice Party (PiS) in Poland have governed with an outright majority in the Polish Parliament. The PiS has spent the last 4 years passing laws in order to strengthen their influence over the courts as well as the media. The European Union has condemned this development as a threat to liberal democracy and the rule of law. The European Commission has launched several infringement procedures against Poland in order to protect judges in Poland from political control. The situation in Poland is of international importance, because it symbolizes the dangerous tendencies we see in many democracies where the independence of courts increasingly is put under political pressure. In 2018 Adam Bodnar received the Rafto Prize for his work as an Ombudsman for Human Rights and highlighting the rolling back of democracy and the rule of law in Poland. 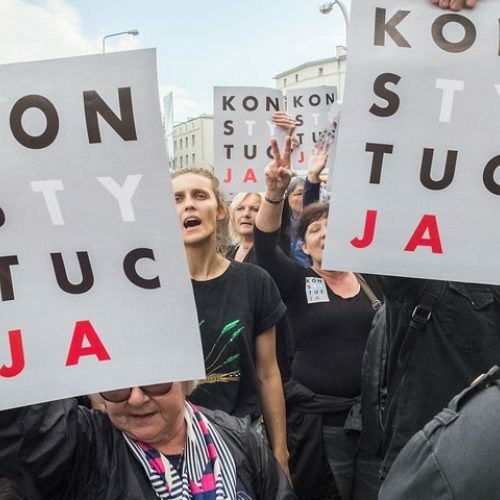 We ask: Has the rule of law collapsed in Poland? And what do these laws mean for human rights in Poland? Join our conversation together with Jørn Øyrehagen Sunde, Professor of Law at the University of Bergen, and Maria Hessen Jacobsen, lawyer and member of The Norwegian Bar Association's Human Rights Committee. Also joining the discussion as a moderator is Iver Ørstavik, Senior advisor to the Rafto Foundation. A plain breakfast will be provided for participants, with orange juice and coffee.